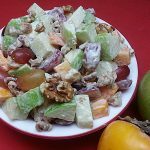 Here is a fun twist on a traditional Waldorf Salad that is great for holiday meals at home or potluck parties. 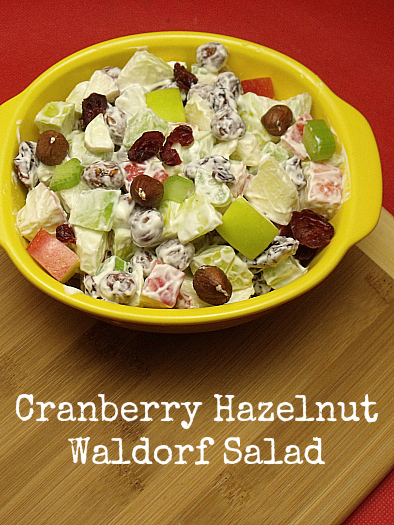 Instead of grapes and walnuts, I used dried cranberries and hazelnuts. Chestnuts also work well, if you’d like to swap them for the hazelnuts. 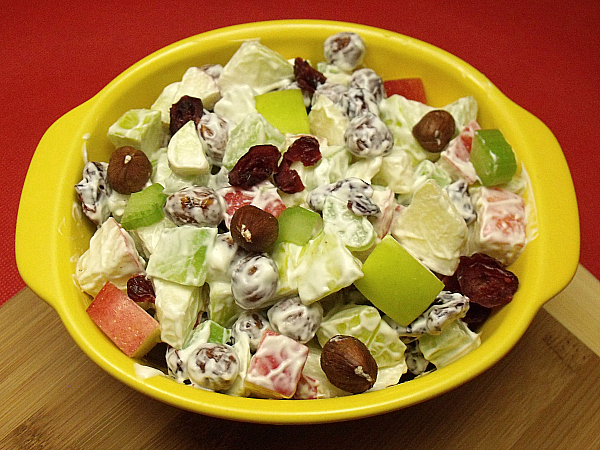 I also used a red and green apple to add some extra festive color to the dish. 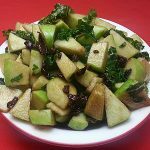 Chop apples and celery into bite sized pieces. 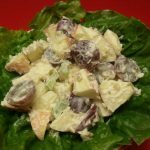 Gently mix all ingredients together in a bowl. Chill for 15 or more minutes. 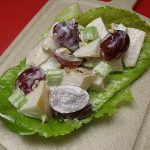 Thank you Melissa’s Produce for the apples, cranberries and hazelnuts!